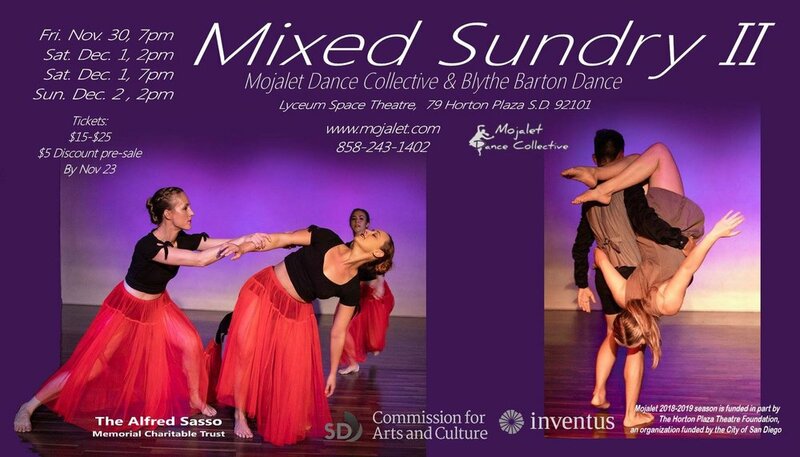 Mojalet Dance Collective presents Mixed Sundry II: a performance of athletic, powerful movement with sweeping patterns by Faith Jensen-Ismay and guest choreographer, Blythe Barton. Mojalet will premier Inevitable Acclimation, a new work inspired by the ever-changing technology that impacts our daily lives. Mojalet is known for athletic, yet intimate dances with a unique style that doesn’t fit into any typical dance genera. The full company of nine dancers perform work that begins with a Steam Punk feel reflecting on the Industrial Revolution and the fast pace that technology has transformed our lives. 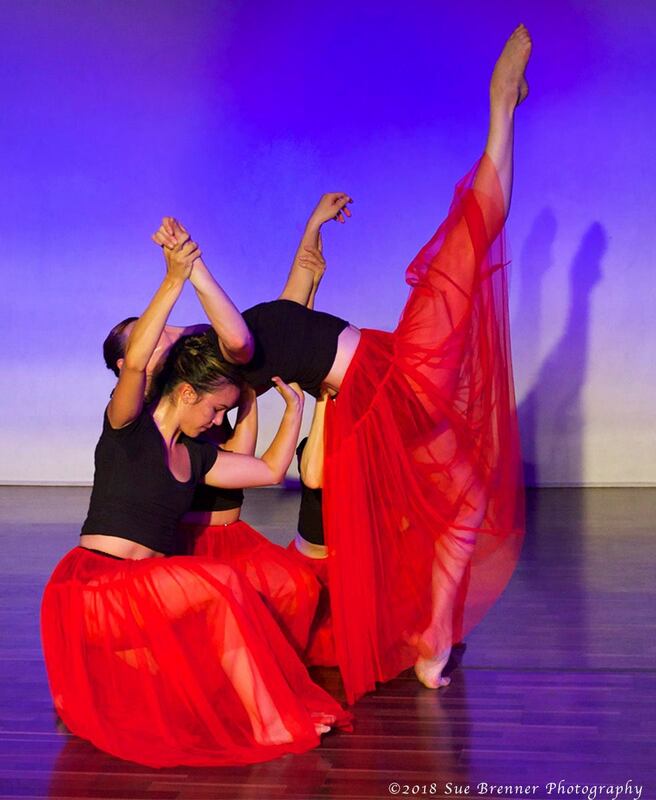 Blythe Barton Dance will present three dynamic dance works. "8x8 by 6" is the visual embodiment of a multilayered a Capella score. Bodies and voices intermingle in complicated layers as unique sound and movement vocabulary interweave. "I Get Along," vibrates with the raucous energy of Nina Simone. Dancers in vibrant tulle skirts dance until out of breath, they fall breathlessly as if unable to go on, and yet, they gather themselves to rise once again. In a new work, “To remember everything or nothing at all” Blythe collaborates with the performers to create in reaction to her own #metoo experiences. Not a single human is untouched by these turbulent times and the memories that are provoked. “8x8” Image by Sue Brenner from 2017 premiere.